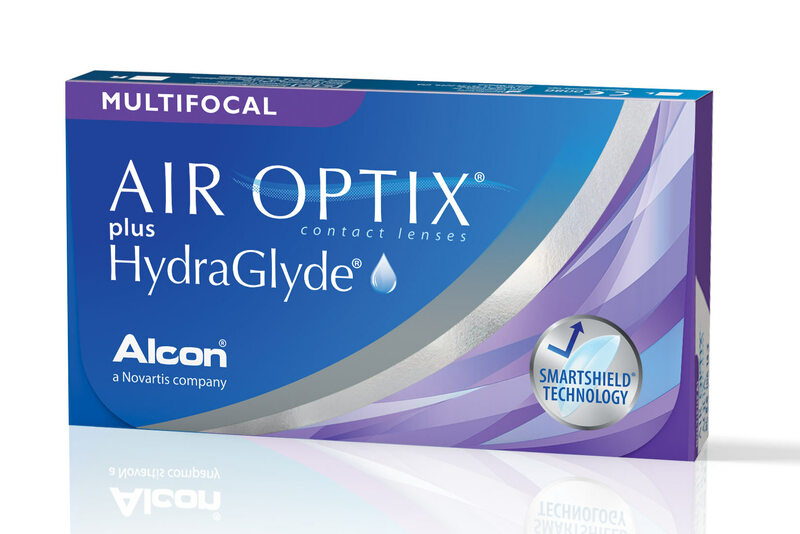 Air Optix Multifocal Plus Hydraglyde contact lenses combines a new level of comfort with enhanced Oxygen capability ( Up to 5 times greater oxygen transmissibility than traditional soft contact lenses) , which provides superior all day comfort in a lens that is healthy for your eyes. Who should wear Air Optix Aqua Multifocal? Presbyopic patients who experience discomfort due to dryness when wearing contact lenses and are therefor looking for outstanding 24-hour comfort. People who are looking for breathable monthly lenses for healthy and extended overnight wear. People that want to sleep with their lenses in. People who want healthy looking eyes. People who gave up on wearing contact lenses due to discomfort such as dry and itchy eyes. Be the first to write an online review of Air Optix Multifocal Plus Hydraglyde and share your thoughts on this product with other shoppers!